My doctoral exam is eight days away (less, by now), so I’m obviously expending my emotional energy on Aaron Sorkin. 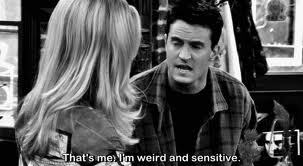 Of course I am. 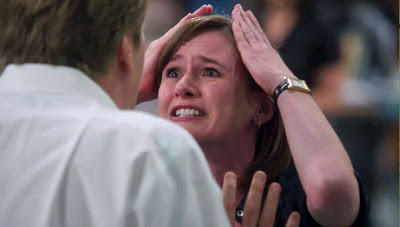 I’m on Season 1, episode 9 of The Newsroom, and I am so emotionally split on it. The news aspect is done really well–I find it fascinating to see how news is vetted and made, and how the personalities fit together. I’m also drawn to the finely depicted masculinities present in the show, especially with great performances by Jeff Daniels and John Gallagher, Jr. I think you can guess where my issues with the show lie. Isn’t it just hilarious that Maggie Jordan, a college-educated, white, blond woman, the only representative for young twenty-something women on this show, is also constantly falling, dropping, and tripping, suffering from panic attacks, and doesn’t even know what LOL stands for? I’m dying laughing in my corner (sarcasm font). Also: doesn’t it seem absurd that a 26-year-old woman who owns a cell phone and went to college and works in news has somehow missed what LOL means? Unlikely. She either watches no TV or internet miscellany or she is beyond hopelessly naïve. I don’t buy it. Also also: why are we turning the young blond woman into the punching bag for weak and poorly drawn women everywhere? It feels slightly nasty to me. But maybe it’s a weak link? What about Mackenzie McHale, the executive producer and former love interest of the protagonist Will McAvoy, who spent 26 months embedded in the Middle East with marines, who has been shot and lived to tell about it? Well, let’s see. The first episode is promisingly awesome. She threatens Will that she “owns” him for an hour every evening as his executive producer and pulls together an awesome, revamped show in short notice. But the second episode finds her dropping a board and accidentally emailing a confidential message to the entire newsroom. Oh, and she loses her sh*t at Will in every other episode. It’s so feminist, right? A successful, strong, and gutsy 30-something woman with career moxie spends most of her on-camera time giving longing glances and expending jealous energy on her ex-boyfriend. Hm. I think I rejected this plotline in a Nicholas Sparks novel. Oh, wait, there’s MORE! 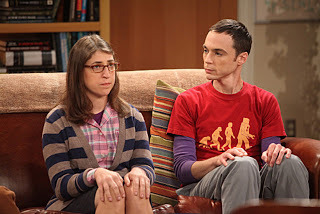 Isn’t it just hysterical that Sloan Sabbith, our representative smart lady with a doctoral degree in economics is completely socially inept and is often treated like “one of the guys” by our noble male protagonist? Hilarious! Even more so because she doesn’t have ANY feelings! 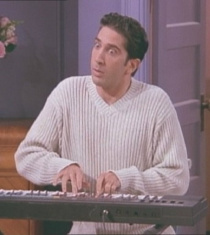 Just like a guy! Because it’s feminism! Ha ha ha. This sounds kind of familiar…where have I seen it before? Oh, right. 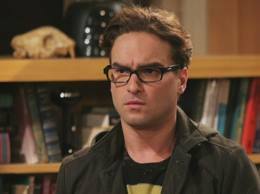 The Big Bang Theory got there first. Way to be, Sorkin. Listen, I KNOW that women like these three mentioned are out there. There is some basis of truth in these depictions. What I find so disheartening is that these are the three MAJOR women characters, and they are balanced by far more heroic, noble, less flawed, interesting male characters. If you’re going to make the women into screechy, ditzy klutzes, then you need to balance with men who are themselves klutzy, awkward, inept, I don’t know. Which leads to CBS comedy. Blurgh to that plan, too. I want to like The Newsroom. 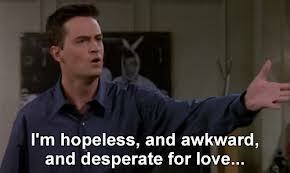 Really, I do. I think Aaron Sorkin can make his show great by writing his women better. It can be done. And it’s been done before. Let me introduce you to five delightful, complex TV women who can elevate the quality of Sorkin’s show with their complexity, delicious smartness, and overall awesomeness. Even better, these women I picked are ALL currently on network TV (ABC, NBC, CBS, FOX, CW). So this means cutting out Peggy Olsen, the women of Orange is the New Black, the women of Game of Thrones, Liz Lemon, and the women of Happy Endings. But I wanted to make a very specific point. You see, the networks get slammed so very often for not having the “quality” and edginess that a cable company can infuse into its show. But I am trying to show that certain network shows CAN and DO get it right, over the privilege and affluence afforded to shows like Sorkin’s. 5. 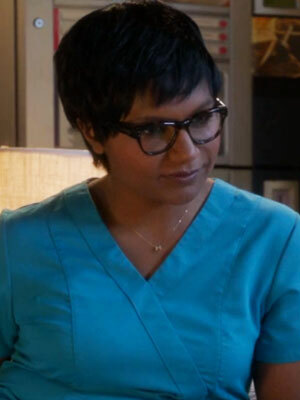 Dr. Mindy Lahiri, The Mindy Project: Most people I know have written off The Mindy Project as girly TV. It’s a shame, too. The first few episodes are kind of rough. In its pilot season, TMP had to work out the kinks in friendships, relationships, and overall chemistry. But let me commend the show in its portrayal of a woman who is a smart and successful OB-GYN. She is also obsessed with romantic comedies, and the show spends its time satirizing the stereotypes to which she aspires. Ultimately, Mindy learns more about herself throughout the journey. I have hopes for this show. Granted, it’s only been a season, but I’ve laughed hard and rooted for Mindy harder. Seriously, Mindy. I’d let you be my gynecologist. 4. Cecelia “Cece” Parekh, New Girl: You might be wondering why I picked Cece over Jess, the Manic Pixie Dream Girl du jour. Trust me, Cece doesn’t take any guff. She’s a model who possesses a lot of self-awareness about what it means to be seen as an object by men. She makes jokes about her model roommates and is an awesome wing-woman to the off-the-wall and so-quirky-it-sometimes-hurts Jess. In the above photo, she talks Jess out of a cowboy ensemble for a blind date, instead swapping outfits so that Jess looks flattering and confident in a black dress. Of course, “best friend” is not the only role Cece gets to play. 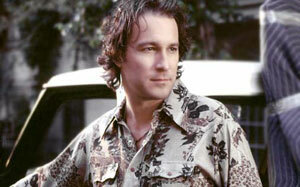 She often gets to play “straight man” in an ensemble comedy that plays well off diverse styles of humor. 3. 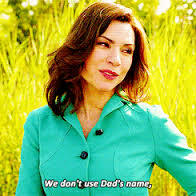 Alicia Florrick, The Good Wife: Alicia Florrick went to law school, met her husband Peter, a rising politician, and then promptly quit the law upon getting married or having babies in order to support Peter and her children from the home. 15 years later, Peter’s infidelity scandal tears the home apart, and Alicia goes back to work in order to make something of her life. That’s all in the first ten minutes of the first episode. Wow. But Alicia proves that there is more to her than disgraced wife or longsuffering mother. She is a fine attorney in her own right. She learns to battle in court and stand up for clients whom she believes can use her legal expertise. And she tries valiantly to abstain from wielding Peter’s still-present influence at the State’s Attorney’s Office (and occasionally slips the ethical line, which is always interesting and disappointing, but HUMAN). Alicia accurately shows how difficult it can be to balance work, family, romance, and free time, but that a well-balanced life is incredibly rewarding. Not to mention the joys in a fulfilling career that one is good at. At some point, the show did launch into a love triangle that I did not find terribly interesting, BUT it was a minor focus and did not define Alicia in the show. She is herself, and that is such an awesome thing. 2. Diane Lockhart, also The Good Wife: I realize it’s a bit of a cheat to place TWO women from the same show on this list. 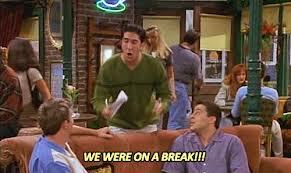 But I don’t care, because Diane? Rules my world. 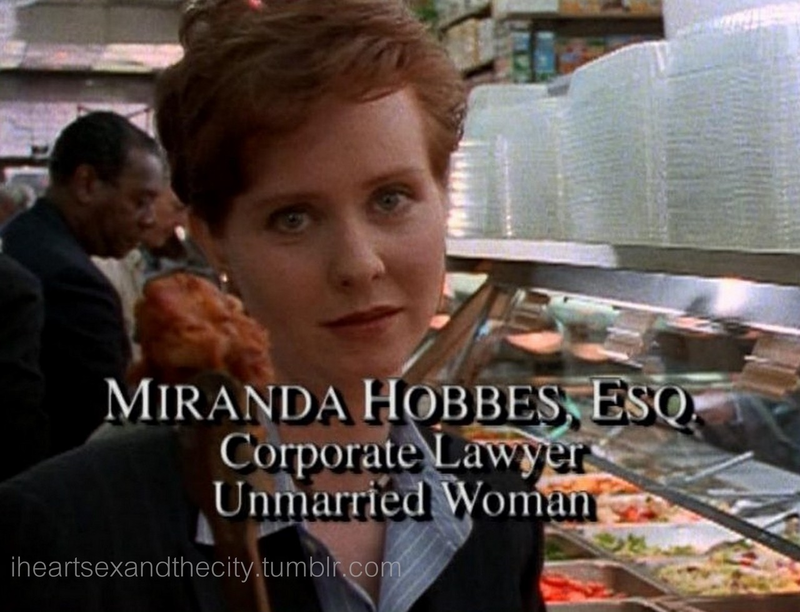 She is a take-no-prisoners attorney and second-wave feminist. She has a biting tongue and accepts no nonsense in the courtroom. Having come of professional age in an era populated by men, Diane made difficult choices and has never looked back. She ultimately proves a valuable mentor to Alicia and sets an example of professional integrity. Neither does Diane let romance define her, but shows that she has learned to develop many facets of her personality. 1. 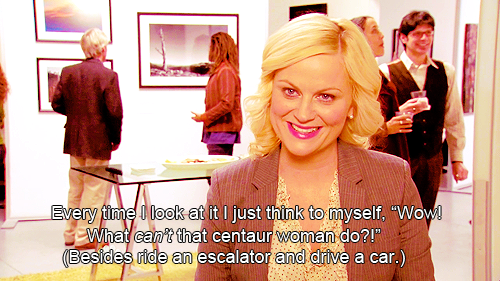 Leslie Knope, the ORIGINAL Khaleesi, Parks and Recreation: I’m going to try and not go overboard on why I love Leslie so much it hurts. What started as a spin-off of The Office turned into a glorious comedy about the joy of living, working, love, and friendship, even through the best and worst of times. Leslie is a government employee deflected at every turn by incompetent or uncaring peers and community who want to wade through the 9-5 with the minimum amount of work. 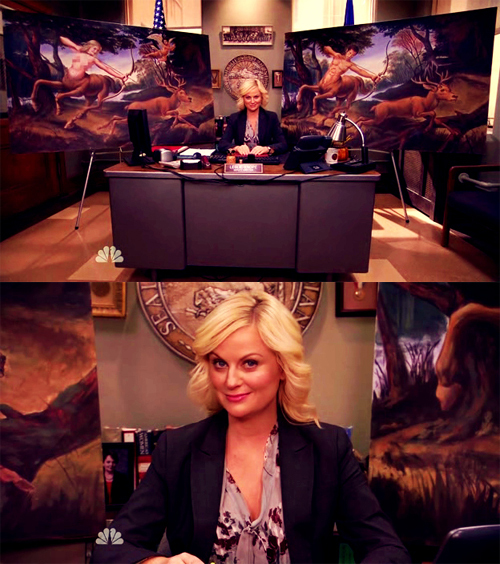 Leslie, however, wants to make a difference in her town, the fictional Pawnee, Indiana. She never lets the discouragement get to her, and she determines to make her goals, come hell or high water. 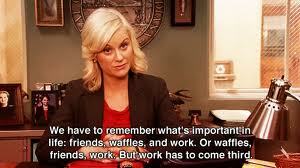 So, why love Leslie Knope? Because she wants to move like a cheetah. Because she is a cheerleader for her best friend, Ann. Because she is sophisticated with a hint of slutty. Because she likes powerful depictions of awesome ladies. Because hoes come before bros, ovaries before brovaries. Because she can send up a sexist stereotype like no other. Because her stripper name is Equality. Because she knows when love is right and when to fight for it. Because she refuses to be subdued in the face of defeat. Because she wants to smell Joe Biden. Because work has to come third. Because winning is her destiny AND her dream.